Here at Magnolia Homes, we hold ourselves to a high set of standards. So we want to make sure we select building materials that match our reputation. 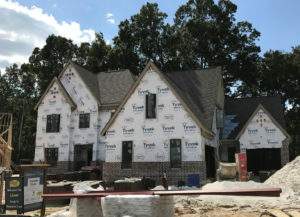 We believe our customers look to us for uniquely designed homes that are built with quality in mind. When it comes to protecting homes from the elements, its key to have a weatherization strategy in place to keep unwanted air and moisture out of a home. Because what’s behind the walls matter. We understand the enjoyment homeowners receive working with our professional designers to select colors, textures, and finishes in the interior of the home — so we make sure to select the right products for what our homeowners don’t see in order to protect their investment. One way we do this is by wrapping our homes in DuPont ™ Tyvek ® HomeWrap ® . Like a windbreaker around your home, Tyvek ® HomeWrap ® helps stop wind, rain and drafts from getting in. It also keeps energy costs down in the summer by keeping the cool air inside and the Tennessee heat out. At Magnolia Homes, we look for materials and products with the goal to offer our homeowners energy savings, comfort, and protection. 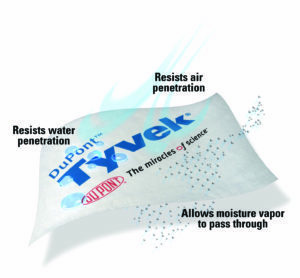 DuPont ™ Tyvek ® is the same material that protects your most important correspondences and is a material so strong and durable, it easily withstands the most grueling conditions. Just like the envelope, we strive to seal your home and keep your family comfortable year-round. That’s just one of the many benefits our homeowners receive when they choose to build with Magnolia Homes.